Ablation is surgical removal of a body tissue in the form of transferring heat to the end tissue. It is used to remove an insignificant or large extent of tissue. There are several types of ablations and have numerous techniquesto perform the removal of tissue depending on the type of tissue. The operational needle is inserted near the site with image guided modalities for instance ultrasonography, computed tomography (CT) and magnetic resonance imaging (MRI). Some of the products are Barrx radio frequency ablation system, Cardioblate 68000 surgical ablation system generator, Endostat III Bipolar or Monopolar electrosurgical generator, CARTO 3 system, AtriCure Ablation Sensing Unit (ASU), THERMOCOOL Bi-Directional Catheter and Cardioblate MAPS device. 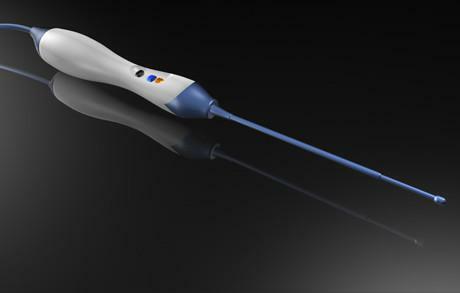 According to study, “Global Ablation Devices Market – Drivers, Opportunities, Trends, and Forecasts: 2017-2023” the major companies operating in the global ablation devices market are Boston Scientific Corp., AtriCure, Inc., Stryker Corp., Abott Laboratories, EDAP TMS S.A., AngioDynamics,Olympus Corp., Bausch and Lomb, CONMED Corp., Smith & Nephew plc., Elekta AB, Medtronic Plc., Terumo Corporation, Galil Medical Inc., Integra Lifesciences Holdings Corporation, Hologic Inc., C.R. Bard Inc., Varian Medical Systems Inc., Accuray Incorporated, Japan Lifeline Co. Ltd., Halyard Health, Inc., Misonix Inc., MedWaves, Inc., St. Jude Medical, Inc., BTG plc, Johnson & Johnson. Based on product, the market is segmented into ablation catheters, generators or electrosurgical units and consumables. Based on technology market is segmented into thermal ablation and non thermal ablation. Thermal ablation is further sub-segmented into radio frequency ablation, EBRT, radiation ablation (stereotactic radio surgery devices, brachytherapy, stereotactic body radiotherapy devices, image modulated radiotherapy (IMRT), image guided radiotherapy (IGRT), proton beam therapy, nano radiation therapy), laser based ablation, ultrasound ablation, cryoablation, microwave ablation and hydrothermal ablation. Non-thermal ablation is sub-segmented into mechanical ablation technology and electroporation ablation technology. Based on procedure, market is segmented intobenign prostatic hyperplasia, stress urinary incontinence, transurethral needle ablation, aesthetics-skin rejuvenation & tightening, menorrhagia/endometrial ablation, atrial fibrillation, varicose veins, tumor ablation, spinal decompression & denervation, uterine fibroids and laser & other energy based therapies or holmium laser ablation. Based on function market is segmented into conventional and robotic or automated ablation devices. By application, the market is segmented into general surgery, urology, oncology, orthopedic, Atrial Fibrilation (AF/AFIB), pain management, cosmetology, cardiovascular and gynecology etc. The end user segments include ambulatory surgical centers, hospitals and physician’s office or specialty clinics etc. The market of ablation devices is driven by rise in elderly population, followed by increasing popularity of MI surgeries, development repayment scenario in established markets, increasing market awareness & campaigns, expanding funding for the development of novel ablation device, rise in the prevalence of chronic disorders (atrial flutter, atrial fibrillation (AF), and cardiac arrhythmias), and increase in disposable income. However some of the restraints are high cost of ablation procedures, complication & risk associated with ablation procedures, lack of skilled electrophysiologists and stringent regulatory approval process etc. Additionally, some of the new opportunities are high demand of lasers in ablation techniques shifts towards minimal & non-invasive procedures, increasing healthcare spending and technological advancements. It is estimated that the future of the market is bright owing to increase in the number of outpatient procedures.